Do you crochet and knit – one or the other or both? I do know how to knit, but I don’t knit often. I mainly crochet. I also spin my own yarn, as well as needle and wet felt. Additionally, I tie my own flies for fishing. How did you learn crochet (or knit)? As a child I remember watching my grandmother with wonder as she crocheted, creating fabric by running yarn across a hook. On Sundays after dinner, when the men would move to the living room to watch football, the women would sit around the table, reading the Sunday paper, my grandmother would attempt to show me how to crochet a chain. Of course, as a child I was fidgety, and I quickly lost interest in the task at hand. Many years later when my grandmother passed away, I felt as if I had lost the opportunity to carry on the family tradition. It is one of the great regrets of my life. I have several crocheted items handmade by my grandmother and I consider them to be some of my most prize possessions. Years later, when a few women at the company I was working for planned a craft boutique, I made a few items to sell. We thought this would be an interesting way to show off the creativity of the employees while getting some Christmas shopping done at the same time. I made a few basic crafts to sell—pinecone turkeys, silk flower wreaths, and potpourri sachets. While sitting at my table, I chatted with Eileen Whitmore, a fairly new employee, about how I had missed the opportunity to learn to crochet from my grandmother and had always wanted to give it a try. She too had been wanted to learn and remembered hearing that Jean Miller, a fellow colleague who crocheted, might be willing to teach us. Well, Jean was game. She told us to purchase a skein of worsted weight yarn and a size “G” crochet hook—we would make a plan to get together at lunchtime for our first lesson. Well, I was so excited I sent out what our newfound teacher jokingly called the “all-points bulletin” informing half the division that Jean was willing to teach crochet and anyone interested should meet in a conference room at lunchtime to learn. About ten people showed up for the first lesson. We all joked about how relaxing crocheting was supposed to be while we desperately tried to force the hook through a ridiculously tight chain. Each of us attempted to make a scarf, but we all ended up with triangles after repeatedly dropping stitches at the end of each row! 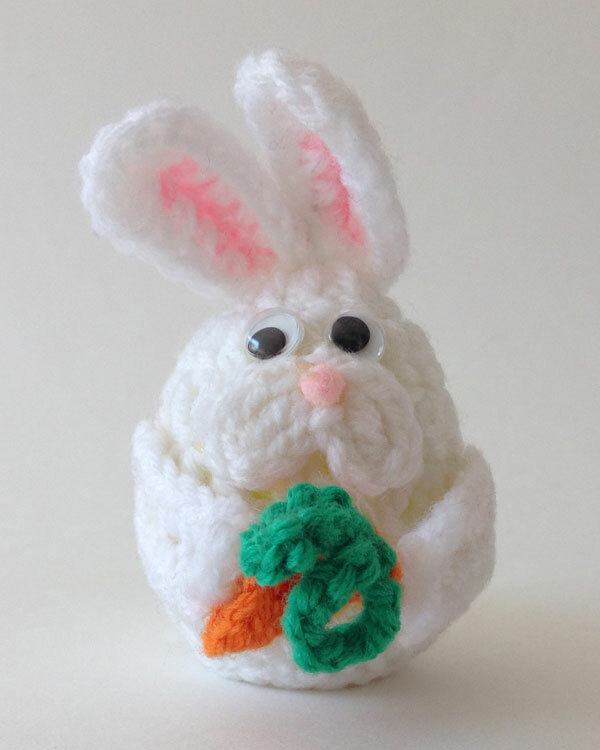 It took me close to three weeks to figure out how to do a successful single crochet, but I was committed to learning, and I always kept my grandmother’s memory close by. Not too long after learning my basic stitches, I finished a scarf, complete with fringe. It wasn’t fancy by any means, but I knew I had found my artistic calling. As my crochet continued to improve, I often found myself adjusting a printed pattern to my liking or looking at an item and working to come up with a way to make it myself. Whenever I would wear or show off my creations often individuals would ask how to make it. As a result I started to document as I worked. 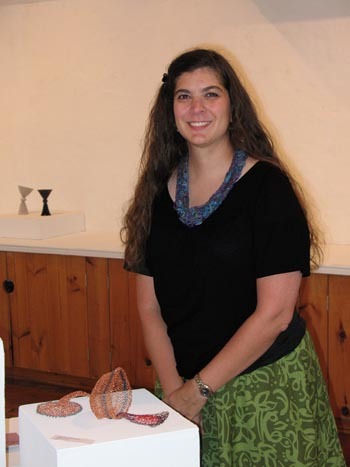 At the encouragement of Margaret Hubert, I began to submit my patterns for publication. My first pattern that was accepted for publication was “Celia’s Scarf,” named in honor of my mother-in-law who passed away in 1992 from breast cancer. It was published in the book Think Pink, which was published in 2008. Since then I have created patterns for book and magazine publishers and websites. I have also published an essay about crochet and several magazine articles. Do you design full time? Unfortunately, no. I hope to someday support myself through my crochet work and writing. Most days during the work week involve going to my “day job,” but I always find time to crochet. Whenever possible, I try to steal some time and crochet at lunch. The weekend is when I can dedicate real time to developing a project. What is your favorite type of design to create? I love to design accessories, be it for home or to wear! I always carry a notebook with me so I am ready to write something down if an idea strikes me. Sometimes I try working up swatches at lunch or taking notes on ideas. You never know when an idea will hit and I don’t want to just hope I remember later when I have an opportunity to put pen to paper. It can really vary. Sometimes I will just fall in love with a yarn and pick it up until it “tells me” what it wants to be. 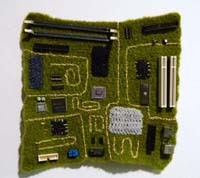 Other times I’ll see something at a store and think how great I could make it look in crochet! I really try to pull many of my cues from nature whenever possible. What is your favorite yarn to use? As a spinner, I love using hand-spun yarn in my crochet projects. It takes a project to the ultimate level of personalization. In many instances, when I spin yarn, I have purchased the fiber from the shepherd who can tell me about the sheep it was sheared from. It is an amazing feeling to have that kind of connection to something you have created. Do you have a favorite stitch? My favorite stitch is definitely the half-double crochet, preferably in either a front/back post or a front/back loop. 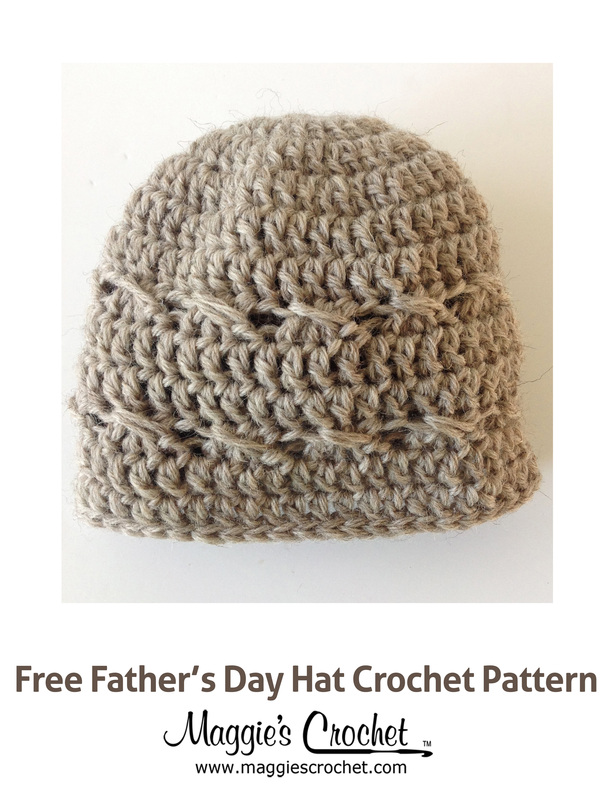 It is the perfect height and the post or loop stitch adds a great level of dimension to it. What design are you most proud of? It is hard to pick just one. Each project has a unique spot in my heart. 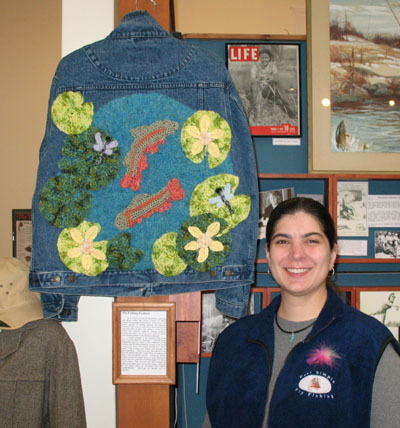 I would have to say my piece entitled “Trout Jacket” that is hanging in The Catskill Fly Fishing Museum and Center in Livingston Manor, NY is a project I am very proud of. I can’t describe the feeling I had seeing it hanging in the museum for the first time. As a fly angler, it was an amazing opportunity to combine my love of fly fishing with my love of fiber arts. I am currently working on an abstract wall hanging as a one-of-a-kind piece and a blanket design as a pattern. In today’s “plugged in” lifestyle (which I LOVE mind you), I hope everyone picks up an analog hobby as a way to connect to the past. It is only that way you can truly appreciate the advances we have today. How do you “get away from it all”? A few different ways. I love to sit outside and either spin or crochet. My husband Glenn and I have a fly fishing instruction business (Reel Simple Fly Fishing) and I love just going to a small piece of water with a light weight rod and fly fishing with my hubby! I even tie a fly with a crocheted body. How can people find out more about you and your work? They can check out my blog at www.thefiberforum.com or my website at www.alvbfiberart.com. Many of my independently published patterns can be found on Ravelry and Patternfish. My completed pieces can be purchased on Etsy at http://www.etsy.com/shop/AndreasYarnBasket. Finally, anyone interested in fly fishing can check out our instructional site, www.reelsimpleflyfishing.com.